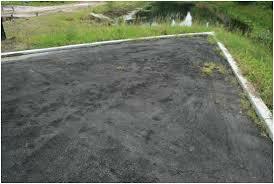 Don’t be fooled… Know your asphalt contractor! 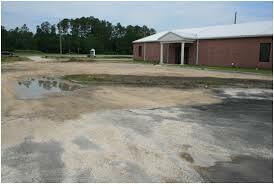 It happens every year, a new no-name asphalt paving and maintenance company comes to Jacksonville. Some of these asphalt businesses are local start-ups, some are travelers looking for work during the harsh winter months when street paving is impossible in the northern states. Many of these people are honest, hard-working individuals just trying to make a living. Unfortunately, being honest and hard-working does not guarantee that you are qualified to do the work. 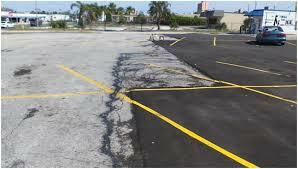 Even less fortunate are the asphalt sealcoat companies that are not honest or hard-working. You can most often recognize these less savory types by their actions and words, or lack thereof. Proof of license to work in the state of Florida. Sounds like a no-brainer, but to be perfectly honest, asphalt paving in the warmer climate of Jacksonville is not the same as asphalt paving in states with harsh freeze/thaw winters. It is important that your contractor be knowledgeable of these differences. Proof of insurance. The last you want is to pay a claim to a no-name company that is careless on your property. You also do not want to be stuck with the bill for any damage the contractor may cause while on your property. Get proof of insurance! Get three bids. If you do not already have a trustworthy asphalt paving company in Jacksonville, or even if you do but want to make sure you are getting fair pricing, collect bids from three different asphalt paving companies. Make sure each one is bidding the same scope of work. If one price is drastically lower than the other two, there is likely a reason – and not a good one! That low number may look nice, but more than likely, the asphalt paving company who provided it will cut corners, do poor work, short the job, or simply not show up to finish your project. Ask for (and check) references. Do not be afraid to ask for references – and call them! If your asphalt paving company is quality and trustworthy, they should have no problem providing a list of current references for you. Manhole covers, drainage basins, and water valve covers should be kept clear. When installing new asphalt, it is important that your asphalt paving company make note of all manhole covers, drainage basins, and water valve covers in the area of work. Depending on the amount of asphalt being installed, these things may need to be raised to ensure proper drainage and eliminate trip hazards. There is no excuse for leaving one of these access covers or drains covered with pavement.